Welcome readers to a New Year! 2016 was an exciting one for Oxford; seeing new events such as the vibrant Common People festival, as well as several well-loved, returning events such as May Day, Oxfordshire Artweeks, Alice Day and many others. We can’t wait to see what 2017 has in-store for Oxfordshire, with lots of exciting new ventures and celebrations across the county. Keep up to date with us on our blog as we write weekly posts informing you of how to stay busy and explore the very best of Oxfordshire. Whether you’re visiting for the very first time, or have lived in Oxfordshire your whole life, we promise to bring you something different every week that will be sure to keep your agendas full! Our first blog would like to give you a brief overview of the exciting things that are going on across the county in 2017, so you can start putting dates in your diaries now! 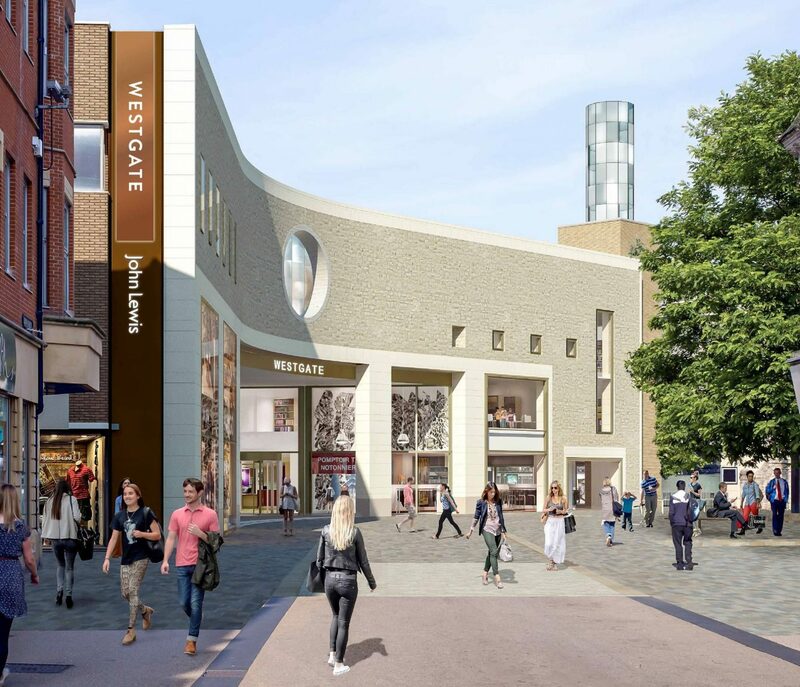 New for 2017, we are very much looking forward to the grand opening of the highly anticipated Westgate shopping centre – bringing in even more visitors to our great city, and giving locals the shopping experience they’ve all been waiting for!! And just to spoil us even more, Bicester Village will also be unveiling their new development; bringing 28 more shops to the exclusive retail park. New Park and Ride services and an expanded fleet of buses have made travel in Oxfordshire easier than ever – with charging points for phones and services all the way out to Woodstock and Blenheim, there’s no excuse not to get out and about in the county via public transport! Oxford is a city steeped with rich literary history, and returning for its 21st year to celebrate all things literature-related, is the much loved Oxford Literary Festival (25th March – 2nd April). Come along for talks from highly esteemed authors and speakers, or enrol yourself in the one day Writer’s Art course for those who love putting their creative thoughts into writing! If you are a literary fanatic – why not book onto our new literary themed walking tours; For all fans of the most famous writers in the Oxford literary group known as The Inklings, take our C.S. Lewis and J.R.R. Tolkien tour, which explores the colleges these authors studied at, the pub where they frequently met, and areas of inspiration for their works. The celebration of Harry Potter’s 20th anniversary will be sure to keep the city buzzing this summer – get ahead of the rush now and book your Harry Potter walking tour here and discover filming locations and inspiration for the picture animations! If you love Lewis Caroll’s Alice in Wonderland stories, this is a great tour to go on too – why not tie it in with Oxford’s annual Alice’s Day, celebrated on the 1st of July, and see if you can spot the Chesire cat’s face carved into one of Christ Church’s Dining Hall chairs!! There are some events in Oxford that remain integral to the city’s personality, and continue to make Oxford what it is today. This includes May Day, celebrated early in the first morning of May, seeing choristers of Magdalen College choir singing in Spring from the Great Tower, and Morris Men dancing in Radcliffe Square, Cattle Street and Broad Street. Roads are pedestrianised, and many bars and restaurants will be open for breakfasts including eateries in the city centre and East Oxford. Lover of all things arty? Both Oxfordshire Artweeks (6th-29th May), and Oxford Festival of the Arts (24th June-8th July) return for another year to showcase the counties artistic talents, give you the chance to get involved with workshops, and visit open studios and exhibitions. Oxfordshire Artweeks also returns over the festive period to bring you another season of creative delights if you can’t wait until next year! Kicking off another Summer full of flags, burgers, and muddy fun – Oxford is delighted to be welcoming the city’s first festival of the year, Common People, back for a second time! And if you’ve not had your fill after this one, do not fear as there are plenty more to be discovered that will keep your festival fever topped up for the summer… Check out boho-chic, family friendly Wilderness Festival (3rd-6th August), Cornbury Festival (8-10th July) for music lovers, and for all those foodies out there why not pop along to Jamie Oliver’s Big Feastival on the 25-27th of August?! For those who want to throw themselves into a colourful celebration of the city itself get yourself down to the much loved Cowley Road Carnival (July 2nd). Rounding off the year, don’t miss one of the country’s most prestigious fairs, held in the heart of Oxford; St Giles fair (4th – 5th Sept) dates back to 1625 when it was a parish festival, and is still loved now by adults and children alike! Go out with a bang and gather with thousands of others on the weekend of bonfire night to witness the stunning fireworks presented for the 50th year by the Oxford Round Table. Ease yourself into the run up to Christmas and indulge your senses in the aroma of mulled wine and mince pies, discover beautifully unique handmade gifts from local crafts people, and hear the sweet sounds of the carollers at the Oxford Christmas Markets. Continue the festive celebrations by gathering friends and family, and heading down to the Oxford Christmas Lights Festival, where unique festive and cultural events promise to bring you a Christmas you won’t forget. Now that we have given you an overview of what’s in store for the coming year, we hope your diaries will start filling up with exciting things to do across the county! Don’t forget to check back regularly to hear first-hand of new events and exciting announcements that will be sure to keep your agendas full!